Free Practice 1 + 2: In the first practice session it was really wet. Norris was on P 2, Daruvala on P 9 and Shwartzman on P 12. In the second session the Kaufmann drivers found a dry track and had good speed saving once more the new tyres. 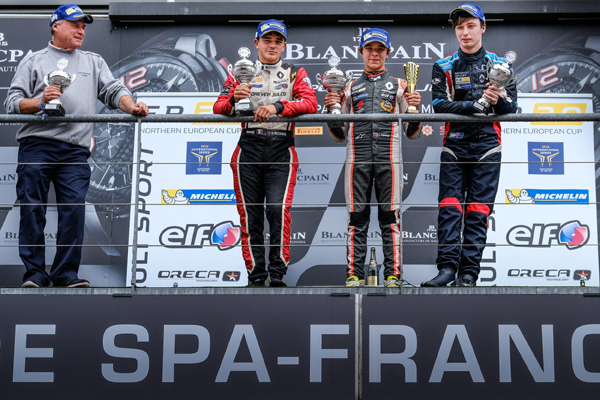 Norris was P 2, Daruvala P 7 and Shwartzman P 8. Qualifying 1 + 2: In both Qualifying sessions it was raining very hard. Norris was in total control of the action and took both Pole Positions with a gap of more than 1.5 seconds on the flying lap. Shwartzman qualified on P 7 and P 10. Daruvala managed to get P 5 in Q1 but in Q2 he wasn´t able to get a time lap due to red flags. P 24 in the end for him. Race 1: In the first race it was rainig again. Daruvala and Shwartzman drove a good race to finish on P 7 and P 6. 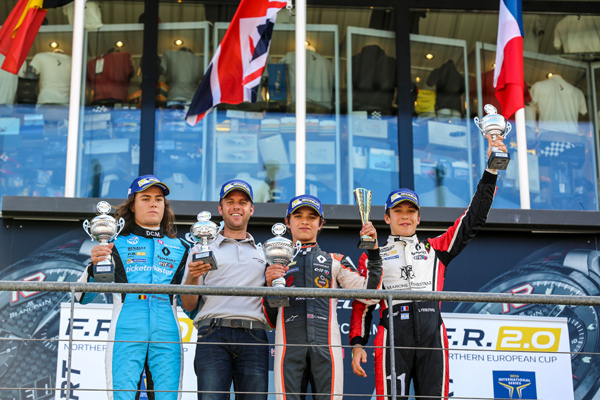 Lando Norris was the man of the race. Beeing more than 1 second quicker per lap the young British Man took a dominant victory with 8 seconds lead. Brilliant drive under difficult conditions. Race 2: In the second race Daruvala had to retire after a crash in lap 1. Shwartzman was able to make up some positions and finished on P 8. 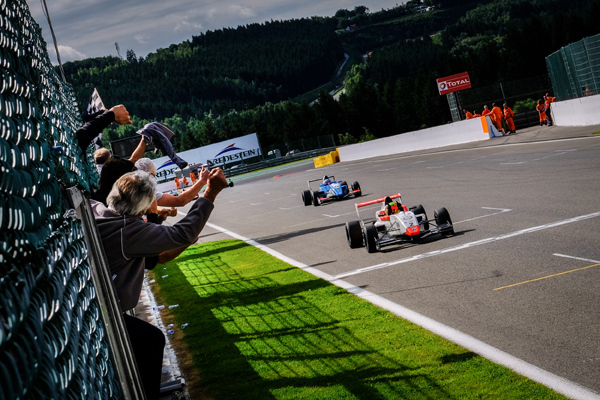 In the lead it was once more Lando Norris fighting for the victory. After a good fight he took the lead with 2 laps to the end and won also the Sunday race. Great drive once more.